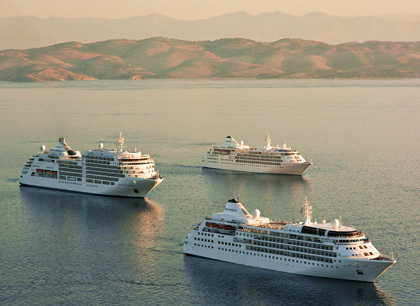 Today Silversea announced the release of their 2015 cruise collection and what a collection it is! 2015 shall see all 8 ships within the Silversea fleet between them sail to 7 continents on 276 voyages, this will result in over 700 destinations being visited, 71 of which are new ports of call! Impressed? Me too! Silver Shadow, Silver Whisper, Silver Cloud, Silver Spirit and Silver Wind shall offer a worldwide schedule of 174 voyages, visiting more than 400 destinations (384 ports) on 6 continents, including 21 new ports of call. New ports of call in the 2015 classic fleet collection will include: Huelva, San Antonio (Ibiza), and Alcúdia (Mallorca), Spain; Rethymnon (Crete) and Igoumenitsa, Greece; Santa Maria di Leuca, Italy; Amasra; Turkey Haikou, China; Hambantota, Sri Lanka; Bintulu, Malaysia; Savusavu, Fiji and Lifou Island. 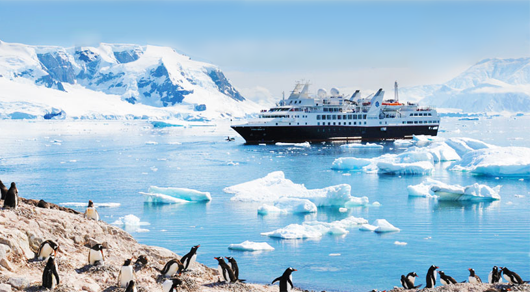 Silversea’s three expedition vessels will offer a worldwide schedule of 102 voyages, visiting more than 500 destinations (456 ports) on 7 continents, including 50 new ports of call. Silver Discoverer will explore Micronesia, Melanesia, Polynesia, the Russian Far East, Southeast Asia, New Zealand and Australia. Her guests will be introduced to dozens of exciting new destinations, such as the remote Phoenix Islands Protected Area in Kiribati, which includes Nikumaroro, the island some believe to be the final resting place of famed aviator Amelia Earhart. After a year’s absence, the exotic west coast of Africa is back on the schedule for Silver Explorer, joining the expedition ship’s ever-popular cruises to Antarctica, South and Central America, the British Isles, Northern Canada, Greenland, and Arctic Norway. Among several adventurous new destinations for Silver Explorer is Congo’s exotic Pointe Noire, renowned for its beautiful beaches and the spectacular red rock cliffs at Diosso Gorge. Silver Galapagos will again operate year-round voyages exploring the amazing Galápagos Islands.